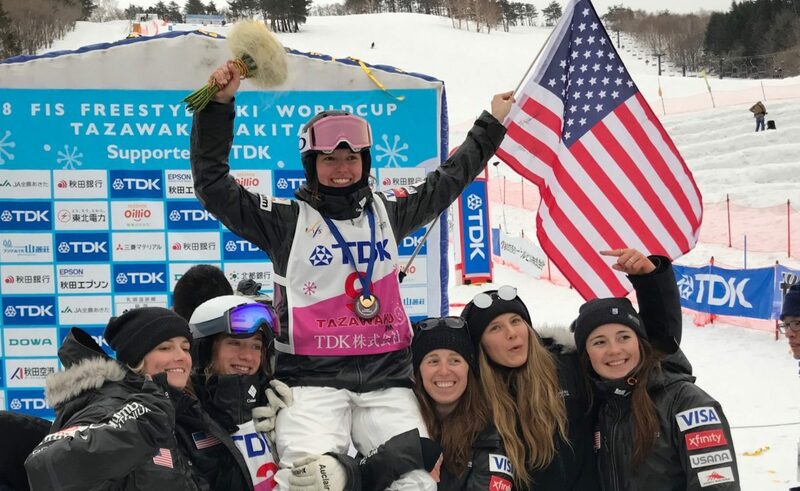 Tess Johnson, 17, of Edwards, celebrates with her teammates after winning her first World Cup event, a dual moguls competition in Tazawako, Japan. VAIL — Vail skier Tess Johnson notched her first-ever World Cup podium on Sunday, and that podium was also a win. 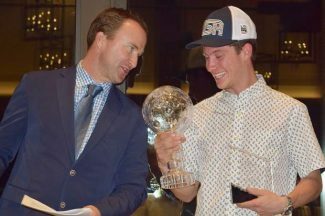 Johnson, 17, took down a heavy field en route to victory in the dual moguls competition, which pits skiers against each other in a head-to-head race that is also judged for its technical prowess and difficultly on the course’s two jumps. It’s a bracket-style elimination event, with the winner of the dual advancing to the next round. Being first to the finish helps, but doesn’t guarantee victory. Johnson was the first to the finish in every race she took part in on Sunday, which included a head-to-head against Perrine Laffont, the 2018 Olympic gold medalist in moguls. “I think had I not have been first to the finish in that dual I would not have won,” Johnson said. The rainy and humid conditions made things fast on the course, causing a lot of competitors to lose their footing and make mistakes. Johnson, who also is a star soccer player known for her footwork, excelled in the tricky conditions. The dual moguls discipline of freestyle skiing, while not (yet) an Olympic event, is known by spectators to be even more exciting version of the competition. The World Cup competitions in Japan on Saturday and Sunday were the first big moguls events since the Olympics wrapped up in February, Johnson finished 12th at the Olympics single moguls competition, and eighth in the Saturday, March 3, singles moguls event in Japan. Sunday’s dual moguls event was the first dual moguls World Cup of the season, due to the fact that in Olympic years singles moguls is the only event on the calendar in advance of the Olympic. Tess Johnson’s father, TJ Johnson, said if he were to guess which discipline his daughter’s first World Cup would come from, he would have guessed singles moguls. 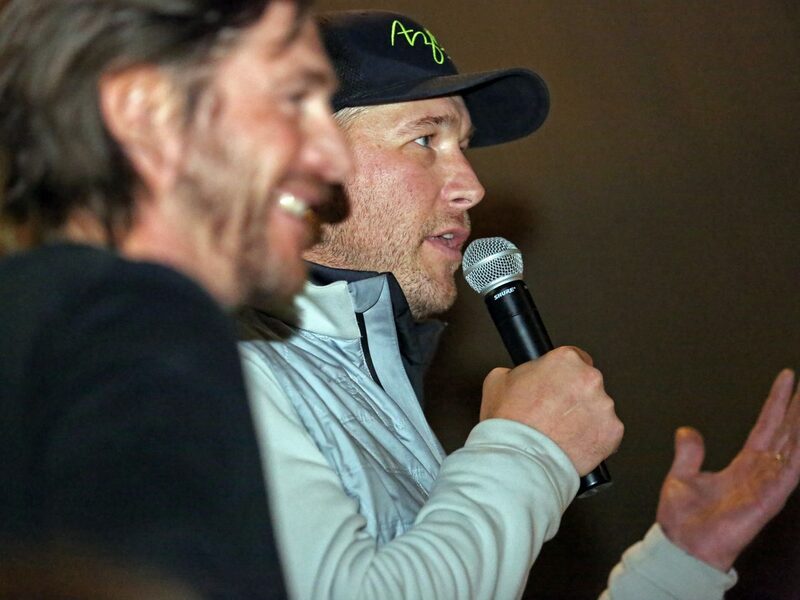 Johnson’s parents and 15-year-old brother got to watch her final dual moguls race live on Sunday from their home in Vail, where they just moved from Edwards. To watch her win a dual moguls competition live was an incredibly exciting experience, the Johnsons said. “It’s such a spectator sport,” Carol Johnson said of dual moguls. “We were all crowded around the laptop watching and cheering her, and then as soon as she won we got out our phones and took pictures of her on laptop,” she added, laughing. TJ Johnson said the family is still in disbelief. Speaking from Japan on Monday, Tess Johnson said the support she’s always received everyone back in Eagle County was on her mind as she basked in the win. 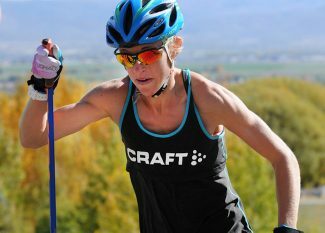 TJ Johnson said in addition to Tess’ skills on her skis, growing up in an area where she was exposed to top level coaching and facilities, and having the support of the community in fundraising and other efforts, has helped her reach the top level. Johnson, who is currently a senior at Vail Ski & Snowboard Academy, will be back home for a few days before hitting the road again for another dual moguls World Cup in Switzerland. 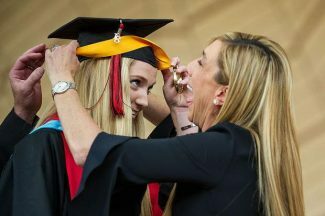 When the season wraps up later this month, she will have to turn to schoolwork to meet her goal of graduating from high school on June 1.